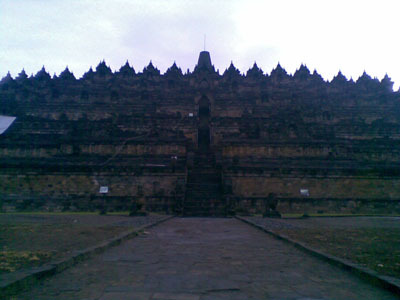 Yogyakarta (better known as Jogya to indonesian) is the biggest city in Central Java and was the cultural capital of ancient Java before the country becomes indonesia. It is a mere 1 hour domestic flight away from Jakarta and the cost varies from 300 to 500 HK$ one way on most domestic airline. 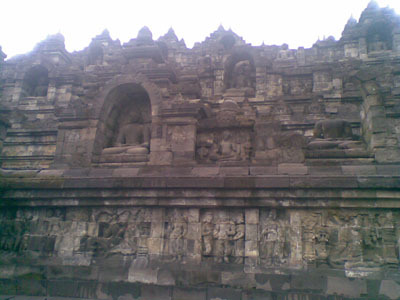 For Prambanan, you can either hired tricycle of even local bus - 1A to get there. 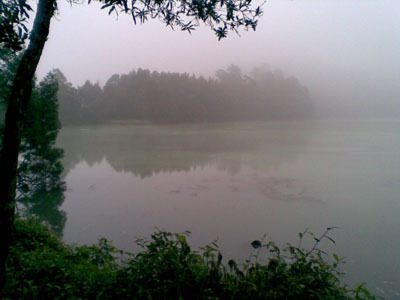 alternative, taxi or hired car is possible. 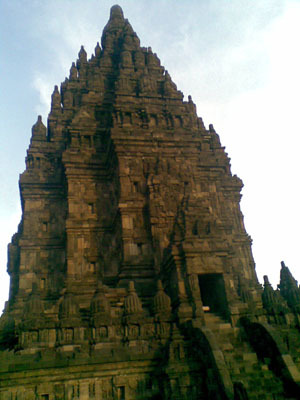 Known as Java most beautiful Hindu shrine - the 9th century Prambanan temple. 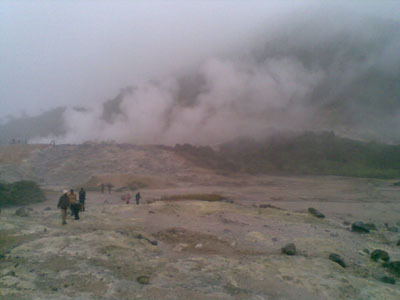 A world heritage site that was being restored as the 2006 earthquake brought a lot of destruction to this area. 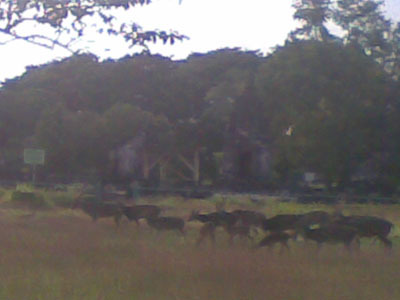 it is very close to the Yogyakarta airport and if you are lucky enough, you can even see it before you land. 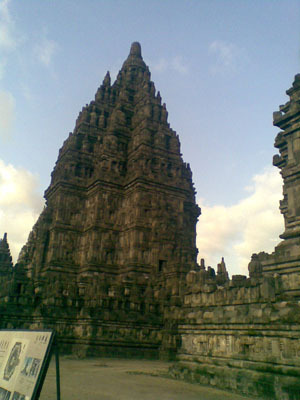 Prambanan composed for 4 main temple area but only the first and the last one show any type of marvel as a tourist. 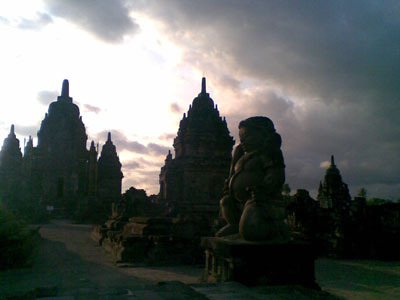 Sun set at Prambanan is quite interesting as it does apparent rusty gold on a sunny day. 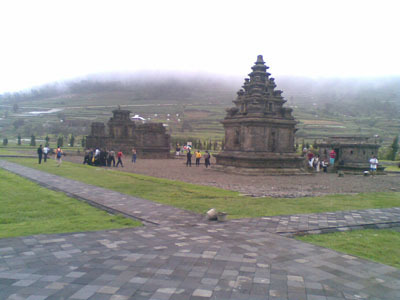 For the more remote area of Borobudur and Dieng Plain, you can either join local tour which cost around 190 HK$ per person and will give you a whole day worth of travelling. Alternatively, hiring a 6 seat car with driver will only cost around 500$ for a bigger group. 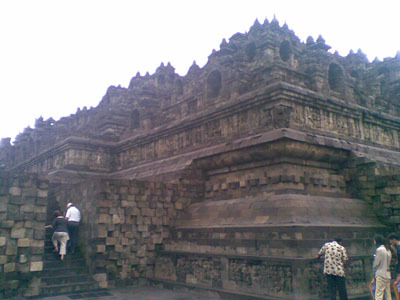 Borobudur temple (candi = temple in indonesian), one of the world great architectural masterpieces is about 1 hour from downtown Yogyakarta, one of the wonder of the world. 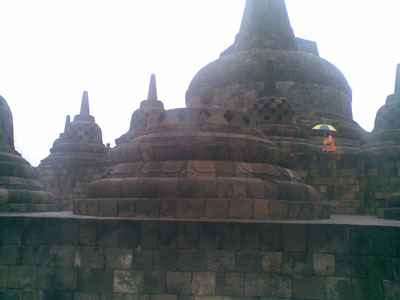 Construction of Borobudur probably took place around 760 AD, and completed around 830, making it older than the major monuments of Angkor but younger than those of Anuradhapura. 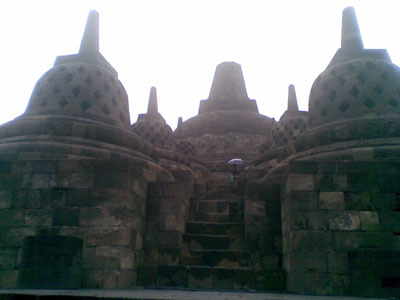 Borobudur is designed as a mandala - a geometric aid for meditation. 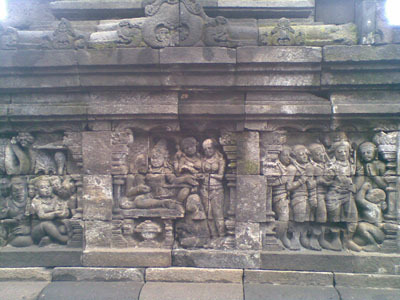 It is in fact a model of the Buddhist cosmos. 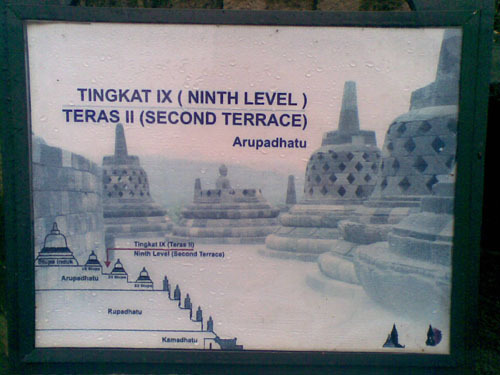 Borobudur has 10 levels, and these 10 levels are categorized into three distinct parts which correspond to the three divisions of the Mahayana Buddhist universe: khamadhatu, the low-life, so to speak; rupadhatu, the realm of "form"; and arupadhatu, or the state of detachment from worldly being. 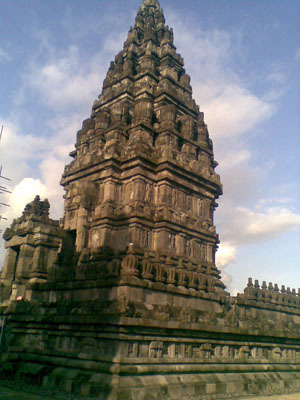 A pilgrim would circumambulate the monument in clockwise fashion, starting with the reliefs on the eastern staircase, and going around the monument before ascending to the next level, and so on, until he reaches the top. 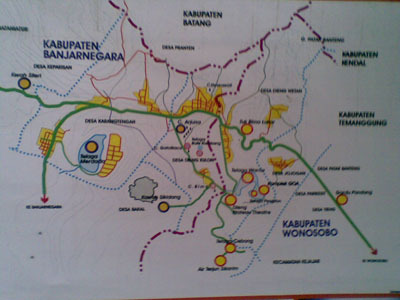 That's a journey of ten circles around Borobudur, covering a distance totalling five kilometres. 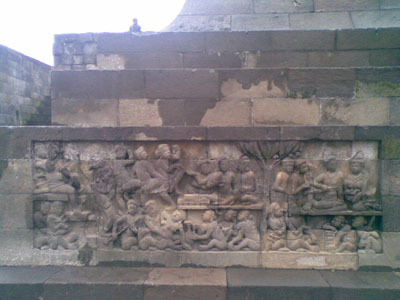 Each level is full of wall carving and for those that are into art world, it is a wonderful experience to see many of those carving still in clear shape after more than 1000 years of equatorial rain and sunshine. 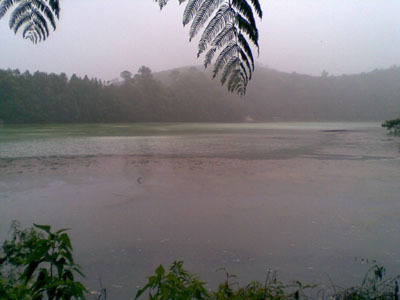 On the other hand, you will be bewildered by the beauty of the Lake (Telaga) Warna (coloured) and Pengilon (mirror) lakes as it is a mixture of tranquil water, scenic reflection as well as volcanized water. 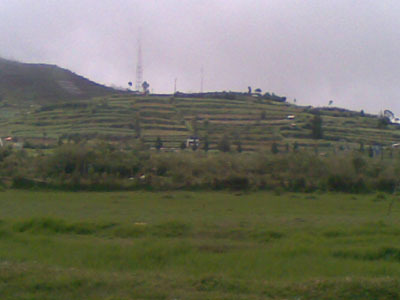 Step potato farming is very common at Dieng Plateau area which is about 2000m high as it is too cold to grow rice. 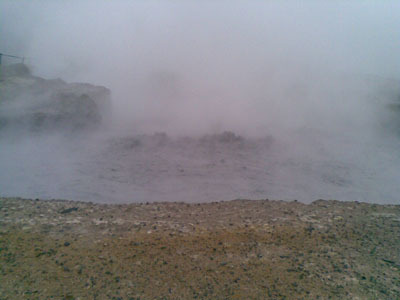 make sure you take a jacket when you go there as it is quite cold.